When you are diagnosed with hepatitis C and need treatment, clinical trials may be an option for you. Choosing to join a clinical trial is something you, those close to you, and your doctors and nurses can decide together. It is really important to understand all of your options. We have provide general information below but highly recommend you read HCV Clinical Trials Guide 2013 before considering any clinical trial for hepatitis C therapy. 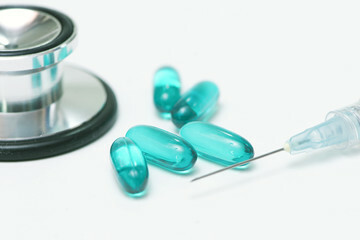 Clinical trials are research studies used to evaluate the effectiveness and safety of new medications, procedures, or medical devices by monitoring their effects on large groups of people; the testing usually required by the Food and Drug Administration before approving a new drug, procedure or medical device. Trials help doctors find ways to improve health and patient care. Each study tries to answer scientific questions and to find better ways to prevent, diagnose, or treat hepatitis C.
The National Institute of Health, drug companies, medical institutions, and other organizations sponsor clinical trials. Clinical trials take place in many settings, such as large medical centers, small hospitals, and doctors’ offices. Research already has led to advances that have helped cure some people of the virus, but much more research is needed to eradicate this virus in everyone. A controlled clinical trial divides participants into study groups to determine the effectiveness and safety of a new treatment. One group receives the experimental treatment; the other group receives placebo (an inactive substance) or the standard therapy. This group is called the control group. Comparison of the experimental group with the control group is the basis of determining the safety and effectiveness of the new treatment. A randomized clinical trial involves patients who are randomly (by chance) assigned to receive either the experimental treatment or the control treatment (placebo or standard therapy). This is the first clinical trial for studying an experimental drug or treatment in humans. Phase I trials are usually small (10-100 people) and are used to determine safety and the best dose for a drug. These trials provide information about side effects, and how the body absorbs and handles the drug. People in these trials usually have advanced disease and have already received the best available treatment. Phase II trials examine whether a drug or therapy is active against the disease it is intended to treat. Side effects are studied. A phase II trial is a noncomparative study, meaning the therapeutic effects and side effects of the experimental treatment are not compared to another drug or a placebo. Phase III trials are conducted to find out how well a drug or therapy works compared to standard treatment or no treatment. Phase III trials are large studies and usually involve several hundred to thousands of patients. Clinical Trials.gov is a very easy to use site to search for clinical trials for hepatitis C. If you do not have the time or capacity to conduct a search yourself, you may be interested in contacting a Clinical Trial Matching Service. They provide personalized education and matching to quickly identify clinical trial options that match each person’s specific diagnosis, stage, and treatment history. Caution, not all of these matching services are free.